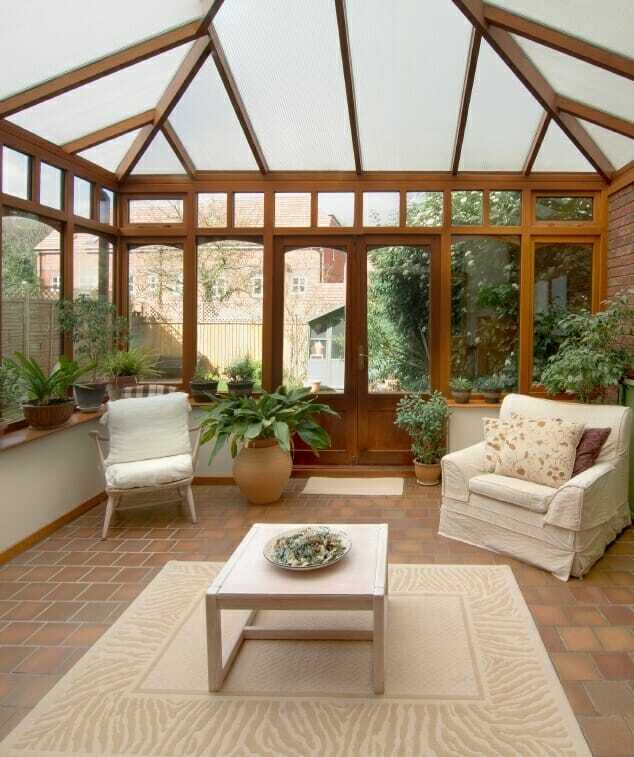 A sunroom is a great addition to the home, a room that is open, bright and full of life! Just make sure you’re well prepared before you start to design. The sunroom is an area of the home that is completely different than the others due to the fact that it is exposed to many more elements as well as more foot traffic coming in and out of the home directly. There are a lot of flooring options to consider for the sunroom, but instead of wasting your time to explain each and every one of them, we’ll just break it down to the top three options. Each of these options has its advantages, even with all of the extra elements we need to consider. If you’re looking to create a comfortable and cozy feeling in the sunroom, carpet is a great option. Although, normally not the best for high traffic areas, there are plenty of newer options that can stand the onslaught of feet coming in and out. 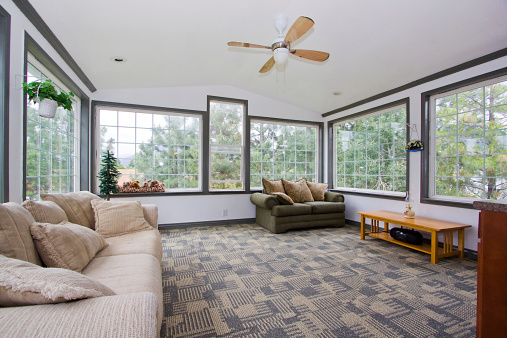 What makes carpet great for the sunroom is that it can stay colder in the summer, keeping your feet cool and warmer in the winter, making it comfortable enough to hang out and watch the snow fall. With the wide variety of carpet colors and styles, it’s also a great way to combine these two things to create a unique look. Wood look laminate and vinyl flooring are a huge hit in the flooring industry these days, and definitely something worth considering for the sunroom. Usually people worry that hardwood laminate or vinyl will fade, which is true in a lot of cases. A simple way to solve that problem would be to go for a lighter wood color so that even if it does fade over time, it’s not as noticeable. 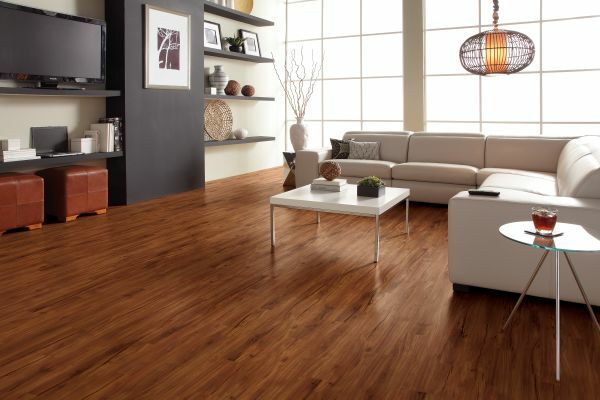 Specific laminate flooring options that we offer are Revwood+ laminate and COREtec vinyl. Along with their many benefits, these flooring types have strong resistance to stains and fading, which would allow you to open your choices up to darker hardwood looks without having to worry! These flooring options are also 100% waterproof and easy to clean and maintain, making them sound better and better for the sunroom due to its high traffic area from direct outdoors. Tile is a very popular flooring option for a sunroom because it’s able to absorb the solar energy, keeping the floor warm for an ultra-relaxing experience. It can also handle humidity well and is very durable when it comes to wear and tear. A great option if there’s going to be a lot of open doors on hot and humid days from people constantly walking in and out of the house. If you want to go for ceramic tile but don’t want the flooring to be too hot during the summer or too cold during the winters, consider installing an “under the tile,” thermostatically controlled heating option so you can control the temperature of the floor. Having a sunroom is like having a little getaway in your own home. A place for peace and quiet where you can relax in the sunshine, or a place to hang out and have fun. If you like storms, perfect sunny days, or taking in all the beautiful stars at night, the sunroom makes it possible to enjoy the weather from the comfort of an indoor space. 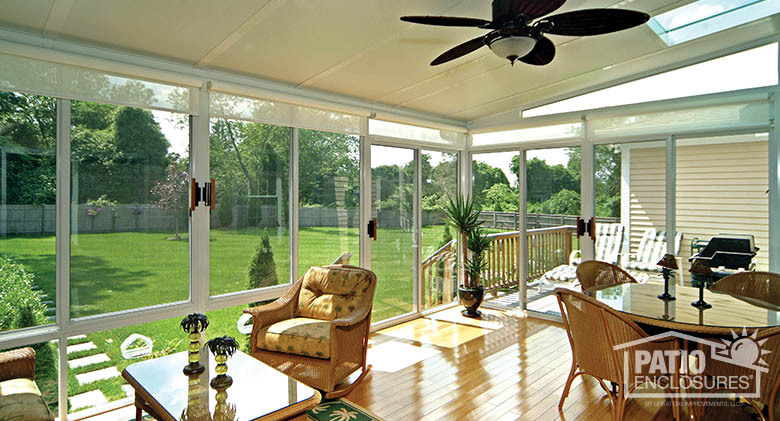 Consider adding a sunroom to your home today!